Why Are Radiator Valves So Important? Radiator valves can often be overlooked, but are one of the most vital aspects of a heating system. To the untrained eye, the radiator valve merely looks like a piece of metal on the side of a radiator. The point of the radiator valve is to be unassuming, and this function is overlooked in favour of more aesthetically pleasing radiator attributes. The valve is vital to get right in your radiator set up, and can really benefit your home heating in the long run. But what does a radiator valve actually do, and what are the different types out there? What is a radiator valve? There are two radiator valves per radiator. The first is one is there to help you adjust the amount of water entering your radiator, whilst the second is for the adjustment of the heat leaving the radiator. The first one means that you can choose how warm your radiator will get, whilst the second is for balancing the central heating system in general. Why don’t radiator valves come with the radiator? As you’ll find below, radiator valves come in all shapes and sizes. 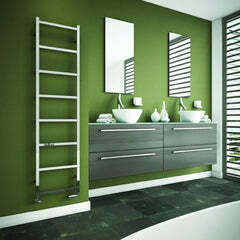 Not everyone will have the same taste, and not every home will have their radiator installed in the same sized space. The different valves will suit different homes, and so you’d be a lot more restricted if you’re radiator came equipped with valves on purchase. How do you install a radiator valve? 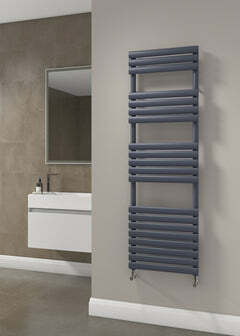 A new radiator won’t be able to turn on without its radiator valve fitted. First, make sure that your mains or water supply is turned off. Radiator valve locations differ depending on the model you buy. It should be evident where the radiator valve fits, it being located on both sides of the unit. Place the nut and olive onto the tail of the radiator, sliding the nut first, and then the olive. After that, connect the valve body to the water pipe before tightening the nut and tail. After this, unscrew the protective cap off the valve body and connect it to the top of the valve. What are the different types of radiator valve? From bathroom to kitchen radiators, different valves have different functions. Here are some descriptions of the main types of radiator valve you will come across. The manual valve is very easy to use. Simply twist the top of the cap to tighten or loosen the amount of heat which is allowed through. 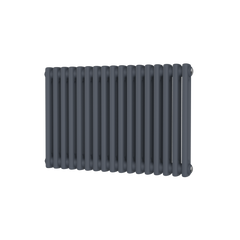 This will have to be adjusted again if you decide you want more or less heat in your radiator unit, making it the hands on option for heating regulation. Thermostatic valves, or TRV’s, are much like a manual valve, except that they include a piece of wax or liquid within the body which measures how hot the radiator is getting, reacting to the heat produced This can be set by the user, ensuring that the radiator never overreaches the maximum temperature you have chosen for it, This gives you more control over the heating in your home. 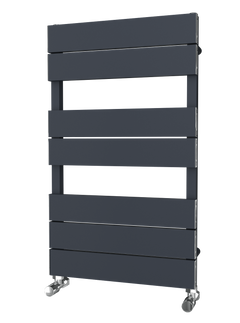 The lockshield valve controls not the temperature of your radiator unit, but the amount of water flowing out of the radiator and into the next one in the system. Straight radiator valves are surprisingly rare, in that they are built for pipes running along the wall of a home. As most piping runs from the floor or from inside the wall, angled or corner valves are usually your best bet. This is especially true of your water piping is running through inlets or from under the radiator.